Hike through Lantau South Country Park on a 4-hour guided trek from Hong Kong. Your guide will lead you on a mostly downhill path, then along a coastal trail to the village of Mui Wo. Suitable for all fitness levels; a moderate amount of uphill walking is involved. Take the yellow MTR line from central Hong Kong to Tung Chung station, where you'll meet your guide and group. 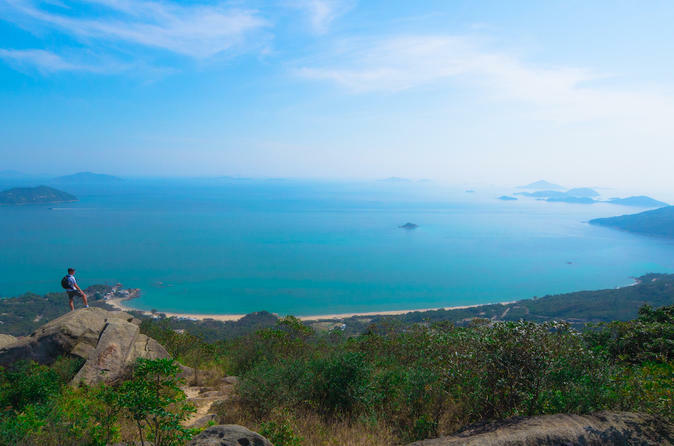 Board a bus for a 10-minute journey to the beginning of the South Lantau Country Trail. Start off along the winding trails, which alternate between panoramic beach views and shaded forest canopy. The first 4.5 miles (7km) are relatively flat and easy, and pass several waterfalls. Save your energy for a section of the trail with some steep ascents, which lead to some photo-worthy viewpoints. End up in the village of Mui Wo, at the ferry terminal. You can choose to hang out in Mui Wo and explore the numerous bars and restaurants, or take the ferry directly back to Hong Kong Central Pier 6 (own expense).